Get more for your money at the Quality Inn and Suites hotel in Coeur d Alene, ID near Lake Coeur D Alene. 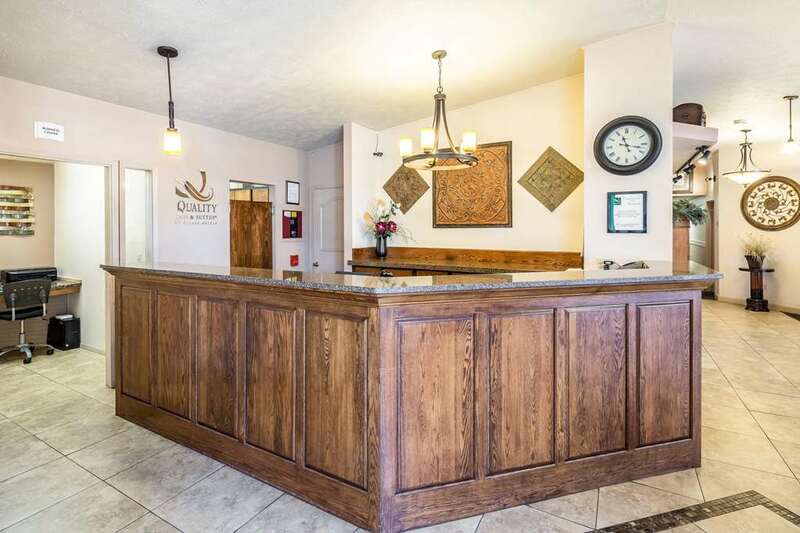 Located off Interstate 90 at exit 12, this pet-friendly hotel is near destinations like Silverwood Theme Park, Hayden Lake, North Idaho College, Lake Coeur D Alene and Coeur D Alene Golf Course. Enjoy amenities like free hot breakfast, free WiFi, fitness center, fresh cookies and a 24-hour indoor pool. Guest rooms include a refrigerator, microwave and coffee maker. Also, earn rewards including free nights and gift cards with our Choice Privileges Rewards program.